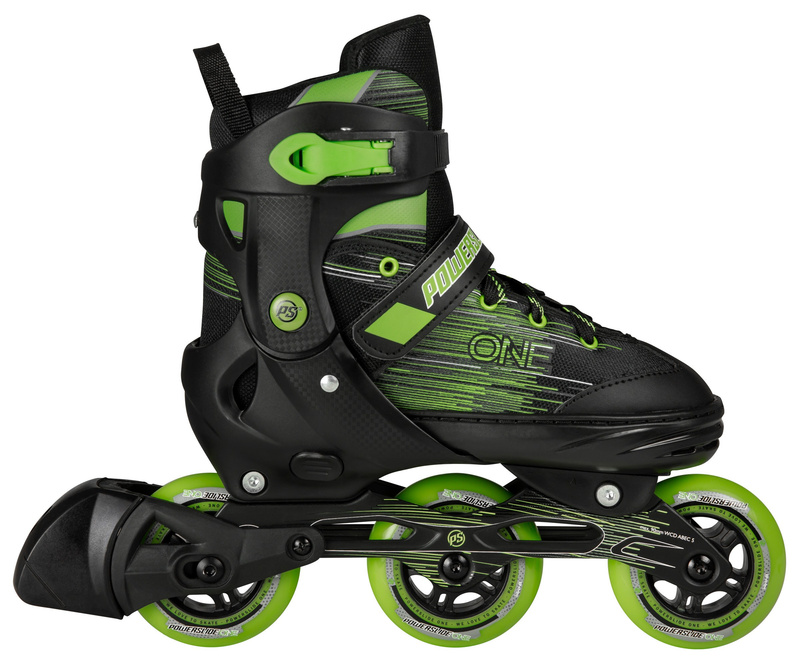 Powerslide One Joker children's skates are stretchable in a range of 3 sizes and feature a very simple set-up system - pushing the tip of the boot after pressing. <? xml: namespace prefix = "o" ns = "urn: schemas-microsoft-com: office: office" /> The model drives wheels One with a hardness of 82A, the diameter of the wheels depends on the size of the skate. Powerslide One Joker inline skates are equipped with Wicked ABEC 5 bearings. The Height Adjustable Brake System (HABS) offers many advantages over conventional foot brakes. The height adjustment function is ideal for finding your preferred personal braking position. The braking surface has a larger contact area. 0 Review "Kids Roller Skates Powerslide Joker Boys"